Since my coverage about Korean BB Cream or Blemish Balm Cream last September, our local market has seen more of the product from brands like The Face Shop, Missha and Skin Food. 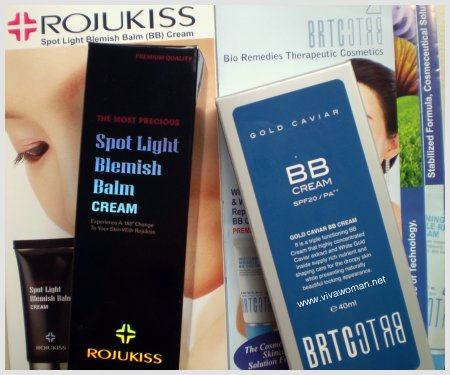 And now, besides the Korean beauty stores, you can also purchase BB Cream off department stores like John Little which carry the Lotree BB Cream as well as Watsons which sells Rojukiss BB Cream and most recently, the coveted BRTC BB Cream. Right from the beginning, the best BB Cream was said to be from BRTC, a trusted and well-known brand in Korea followed by Dr Jart BB Cream. Both products were acclaimed for their quality and formulation. In fact, I also highlighted a review on BRTC BB Cream which confirmed that it is the best of the 10 different brands sampled. So now, you can get your hands on the highly raved BB Cream from Watsons, except that the price tag isn’t cheap. The 40ml BRTC Gold Caviar BB Cream with SPF20 PA++ is going at S$55. But still, substantially cheaper than what you can find if you’ve tried to purchase it online. Described as a triple-function BB Cream, the product acts to provide excellent makeup coverage for skin imperfections like blemishes and uneven skin tone to promote a smoother and radiant complexion as well as, deliver skin care benefits such as whitening, wrinkle repair function and UV-block functions. No wonder some girls on the forums were saying that their skin conditions improved with the usage of this product. The cream is said to have a high concentration of caviar extract and also contains white gold ingredient which supplies rich nutrients as wll as “shaping care for droopy skin.” The ingredients are listed as follows on the box but don’t ask me what marked ingredients mean though. Caviar Extract (1.5%), White Gold Substances (0.01%), Human Oligo Peptide-1, Acetyl Hexapeptide-8, Hyaluronic Acid, Allantoin, Green Tea Extract. Many girls have queries on how to use the BB Cream and according to instructions on the box of the BRTC BB Cream, you should apply a small amount of the cream at the last stage of your basic skincare routine. Which means, after your moisturizer and sunscreen. You can omit the sunscreen if you want since this contains titanium dioxide. And according to the instructions, there is no need to use concealer, make-up base, primer or foundation. Just apply your powder. Unfortunately, I couldn’t test the quality of the BRTC BB Cream at Watsons. They only have boxes lying around. But because I wasn’t planning on buying, so I didn’t try to ask either. Well, much as I like to try it, I know that I will probably not use much of the product if I should buy it. So, better save myself the 55 bucks now. is bb cream natural or organic? safe to use? faeryberry: It’s not natural or organic. It’s a cosmeceutical skincare product, created by dermatologist for patients who underwent laser treatment and apparently, became a wonder cream in Korea used by celebrities. Many who have used said their complexion improved with using the right BB cream. I’m not familiar with some of the ingredients but many of them are chemical based. Ya. I’ve seen these increasingly around too. I’m just wondering. Is BB cream used by teenagers/young adults or by just abt anyone ? KC: BB Cream can be used by anyone since it acts as a makeup base. However, from what I’ve understood at the Korean stores, it’ll make a significant difference for those with blemishes and uneven skin condition. That’s why the raves. If you have good skin to begin with, you may not see much of a difference I suppose. Many girls also wrote in the forums that their skin condition has improved with using some of these BB Creams. Do you recommend any BB creams for pigmentation problems? Thanks and regards. Shirley: Because I haven’t tried, I can’t recommend. But have a look at their ingredients. The BRTC one for example contains Arbutin, which has some pigmentation reducing effect. As to whether it works, I can’t confirm. It also depends on the extent of your problem. Oh thanks for the heads up! Now I know an easier (and cheaper) way to get them when I run out of my BRTC Gold Caviar, which I have yet to start using. MisSmall: Yeah, it’s much cheaper compared to buying online. hey vivawoman, i’m 21 this year, singaporean girl, and interested in brtc bb creams. i hear the only brtc bb cream available in watsons is the gold caviar, right? i would like to know if it’s suitable for young skin since i don’t have any wrinkles yet, pretty good skin, and thus the wrinkle-repair might be too rich for me.. let me know, thanks! miss.g: Yeah, the BRTC might be too heavy for you. I can’t say what might work for you without understanding your skin tone, etc. 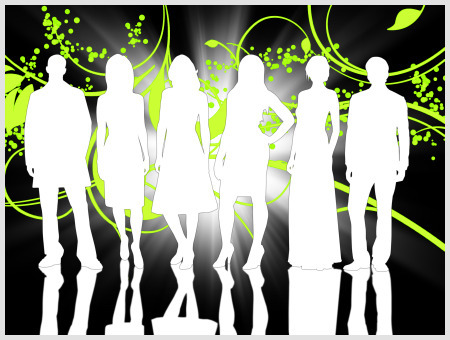 Have you tried searching some of the forums eg. cozycot or flowerpod? You might find some recommendations that fit your skin type. You can also check the Korean stores eg. The Face Shop, Missha or SkinFood to see if theirs will suit you. I have very oily t-zone. Do you think this BRTC Gold-Caviar BB Cream will make my skin look more greasy? And since I’m not in Singapore (I’ll go there next week tho and plan to purchase one) is this product available at any Watson? How bout the other brand Skin 79, do they sell that too in Singapore? Thanks. Jen: From the ingredients, it doesn’t seem to be oily but I haven’t felt the texture so can’t be sure. Yes, the product is available at any Watsons now. But you’re better off getting it at the bigger outlets since they should have more stock. Skin 79 is not available here. Is BRTC Whitening and wrinkle repair BB cream available in Kuala Lumpur. If yes kindly let me know which place. Vira Mody: Not that I’m aware of…but you might want to check with locals as I’m not from Malaysia. hi,are u from s’pore? all items such as elf and brtc and other brand of bb cream is now available in watson s’pore? how bout japan brand such as Bihada Ichizoku? the price?affordable? worth? i have the acne skin, so is this product should be good for my skin?or any other brands of the BB cream could treat for acne skin type? Auwang: It’s hard to say. Some have said the BB cream helped with their skin condition but it’s not across the board though. If you want to try, I suggest you get the sample for trial first. If it works, then you can get the product. Amazon offers BRTC BB Cream 3 Samples 15ml – Blemish Balm for Whitening & Wrinkle Repair; check it out here . I live in India and interested in purchasing BRTC WHITENING & WRINKLE REPAIR CREAM 50 ml. Possible to ship the same to India. Payment by PAYPAL or whichever method you choose. PLEASE DO NOT PUBLISH MY NAME AND E-MAIL ID IN YOUR WEBSITE. Vira: Have you tried sourcing the item via ebay instead? I’m really not into buying and selling for my readers as there are responsibilities I think are better handled by professional sellers. May I know where does BRTC BB cream made from?? Jasmine: BRTC is a Korean brand. I just bought the BRTC protect Multiplex BB cream (for oily skin) yesterday.I totally love it and the color is great for yellow-toned skin. I haven’t tried the Gold Caviar so I can’t compare but would highly recommend it for anyone who need the oil control feature. Bella: Oh that’s great to hear! BRTC’s BB Cream has good reviews from what I’ve read. Understand you have acne problems. Try BRTC Perfect Recover Balm specially to treat acne, oily skin. 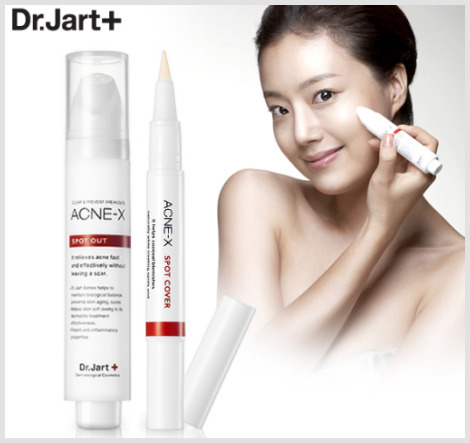 BRTC is said to be recomended by Dermatologists in Korea, Japan. The right way to use is to rub on your 8 fingers, than pat your way from the problem areas (as they need more coverage) to the rest of face. BB cream are suppose to treat & cover at the same time. The texture of BRTC is quite good. Think no harm trying as it might be the solution! For fairer skin, the BRTC whitening is suitable. Normal to yellow skintone, BRTC Caviar would be suitable. Younger skin with not much problem, can try Skinfood Aloe with SPF. I have tried many types so far, none clog pores. Remember, PAT on face. Use the ones recommended by Dermatologist (read up online on BRTC, SKIN FOOD). Good luck! O yes, compared to very branded foundations that only covers. BB creams treats at the same time. Thus the price is definitely much more worth it! Foundation clogs but not BB. (its the same one as Multiplex Skin Cover Balm). Also can buy 30ml or 50ml from Ebay. I’m interested in trying the BB gold caviar cream from brtc but after reading the list of ingredients and searching the internet on finding what the marked ingredients are, I’m suddenly not very excited anymore. Oxybenzone is apparently dangerous! So which BB cream with whitening effect and sunscreen, but without the market ingredients, can you recommend?? u can try SKINFODD ALOE…good luck! can i know any outlet in Kuala Lumpur, Malaysia? I’m not sure…I’m not based in M’sia. They don’t seem to carry it over there yet. I noticed after I applied the BB cream, (bought from FaceShop), and my foundation. My skin appear dry, peeling and cakey on my T-zone (forehead and nose area, mouth area abit too)? Is it because the BB Cream I am using is not suitable for my skin type? Though the BB cream says suitable for all skin type. Is there BB cream for combination or dry skin like mine? Because what you have recommended is excellent for oily skin. Is BB cream suitable for acne prone skin? Some yes because they do help to heal but I can’t say which brand. However, you want to know that BB cream contains more ingredients and some ingredients may cause breakouts. DR GOONWOONSESEANG (hope I spell correctly) at SASA has good texture that blends easily. Pat on it to blend. my colleague’s skin caught my attn lately and she told me she’s using BB cream. no further foundation she had. so gone to guardian and look for BB. caught my eye on BRTC brochures. oh my! they are carrying quite a few BB. how to know which one should I use?? read one of the post above, the “protect multiplex balm BB” for oil skin? I had thot of using this range until I read the above item on the comments! die lahz….m having dry skin? they do hv their (1) jasmine water bb (2) glossy bb (3) glossy shining bb. how do I know which is suitable for me? Why don’t you try getting some samples at Frb3 instead. I know they often samples which you can try. *sob* got my hands on BB. For those who are wondering if BB cream can be found in Malaysia, The Face Shop is carrying 2 different types of BB cream, one with sunscreen but oilier, and without sunscreen, but more friendly to oily skin. The price range is approximately RM 50 to 60 per tube. hi, i’m new to this. is brtc perfect recover bb cream available in sg watsons stores? ermm.. i’ve oily and acne-prone skin. i’m looking at the brtc bb cream. any recommendation? can i knw this BB cream izit only for gals? guys can use ?